1.I choose Longrich because its fulfilling its ambitious goal of giving each partner/distributor not only the chance to live in a harmonious and health environment but also build a successful business. 2. Longrich products are centered on health. In fact Longrich teaches you how to leave a healthy life and yet get wealthy. 3. 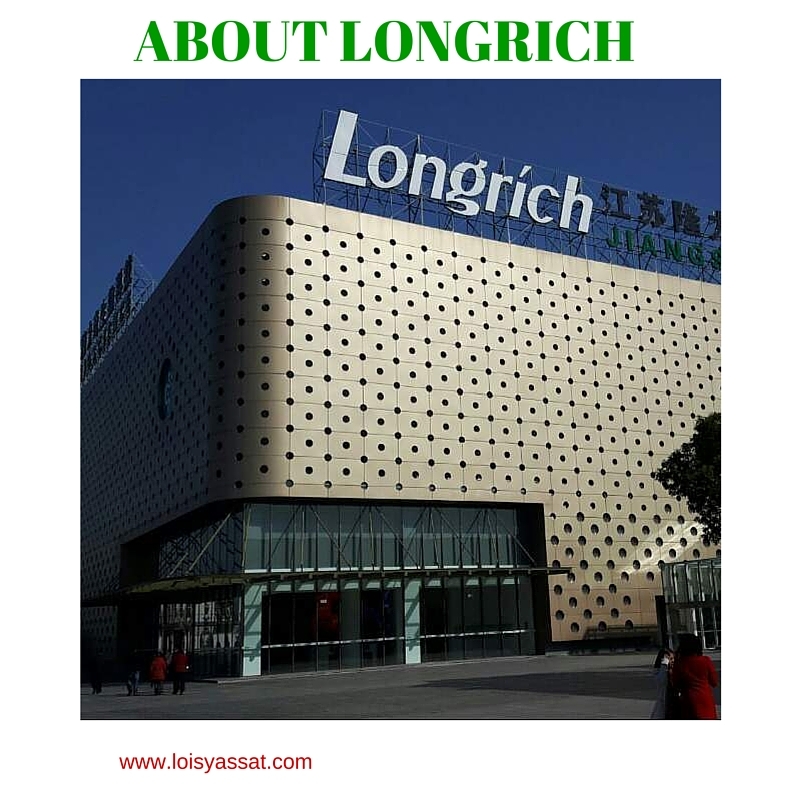 Longrich business philosophy is based on combining advanced technological innovation and scientific research so to propose better lifestyle to all the people around the world. 4. Longrich has been around for years and have fully complied with social and business ethics with honesty, openness and faithfulness, so to help the society fight against diseases, improve and share better life conditions with all. Longrich (Longliqi) is a leading Chinese cosmetic company that holds a wide variety of household cleaning products, personal care products, health care products, oral care and pet care products. We have 8 research and development centers in three continents and over 12,000 employees worldwide. Founded in 1986, our company has seen steady growth in its market share and expansion that makes us today one of the most successful private companies, leader in the Chinese cosmetic sector and daily care industry and a company that legally practices the direct selling in mainland China and overseas. Our trademarks have been registered in 183 countries and our products are sold in more than 50 countries and regions around the world including Malaysia, Cameroon, Russia, Ukraine, South Korea, Thailand, Philippines, United Arab Emirates, Ghana and ofcourse Nigeria.